International bunker oil company, Prima Marine approached Design Incorporated for support with a new strategic automotive lubricant retail branding project launching into the Asian market. The scope of the project was to include a full brand identity (naming, logotype and identity development) as well as packaging design and POS collateral. The motor oil is to be marketed initially in Pakistan and the brand created needed to be able to extend into a branded service station environment, signage and retail outlet. The brand was to evoke a British origin, a premium high performance product. As with all branding projects undertaken, the output was a result of the combination of research, insight, design creativity and process discipline. Long listing and shortlisting within each area of inspiration threw up a number of strong contenders from which ‘REVS’ was the brand name selected by the client. The design treatment for the identity included a section of the union flag and a typeface lending a performance feel (taking specific inspiration from the layout and cornering of a motor racing circuit). The name was simple, distinctive and unique amongst the market competitors. As part of the project, we needed to develop the labelling for a variety of product types/oil grades across a range of bottle sizes. 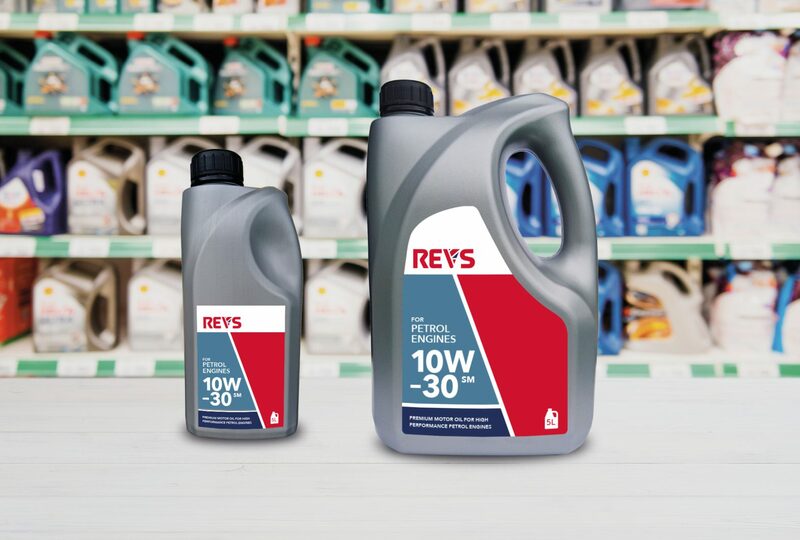 The label design for the silver plastic oil bottle complemented the brand mark and a secondary colour palette was provided to enable the differentiation across the full product range. 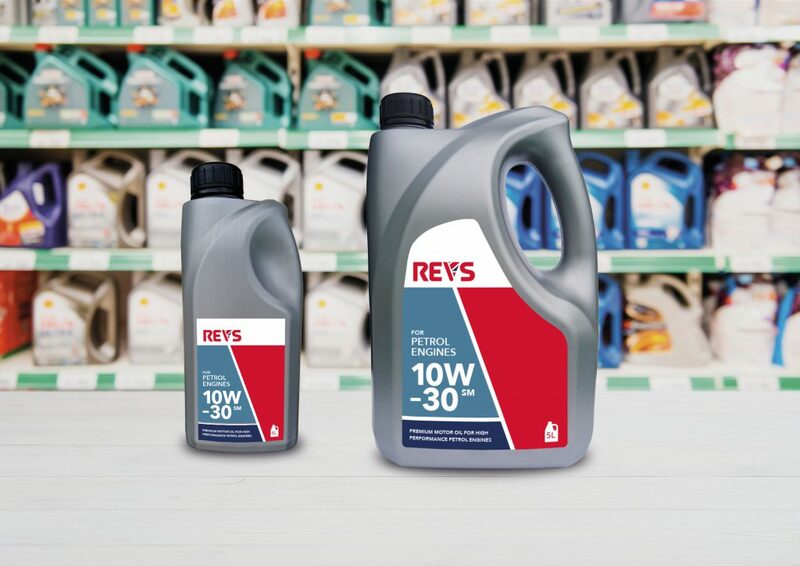 We look forward to developing further assets to support the roll out of Revs Lubricants into the marketplace.